I shot this very early one misty morning back in the autumn with my new Iphone 6 plus. It’s a view looking back towards my girlfriends house up in the French Jura which is surrounded by mature pine trees. Would have been great if a light was on in the top window, but I like it as is or I would have photoshopped one in! We’re both now using the top half of this image as a screensaver, works really well with the all over cracks, like a wallpaper. Ive tried others since but I always come back to this, like coming home! Then I opened this brightened image in Topaz Impression and created another painterly preset, but as usual only used 50% opacity of that filter. Finally, the exciting bit was to use our new unpublished at that time, cracked texture now fittingly named Lacewing and voila, it pulled it all together! I used a few more Flypaper Textures to also brighten, balance and warm up, but it’s the new cracks texture that finally made this image for me! Sakura Skies is from the Spring Painterly collection. Casanova is from the August Painterly collection and Lacewing is from the Distressed Painterly pack. Not another hydrangea I hear you saying 🙂 I’m of the opinion that you can never have too many! 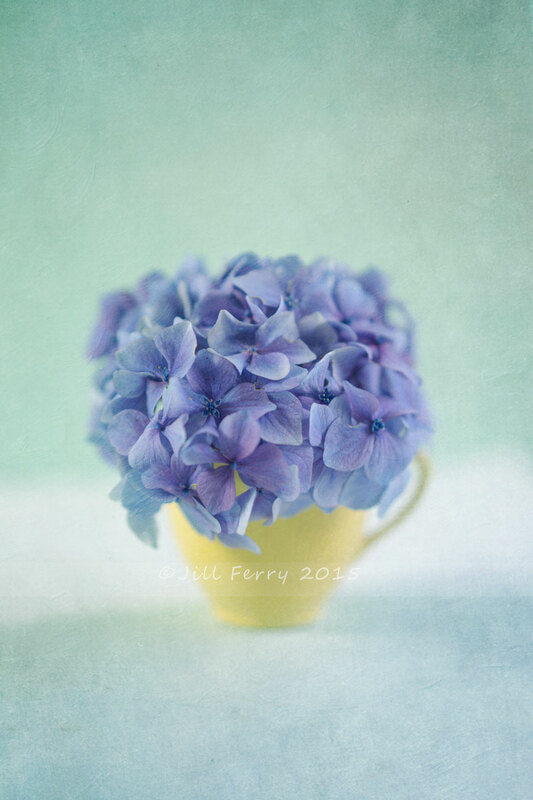 They’re such photogenic flowers especially my favourite blue variety. This was textured with a mix of old and new Flypapers, one texture came from our ever popular Summer painterly pack and one from the brand new Distressed Painterly. At this stage it looked okay but to enhance the blue tones I turned to Nik Color Efex and used a blue Cross Processing filter. Cobalt Cloud is from the Summer Painterly pack and April Frost is from the Distressed Painterly pack. Click mosaic for full screen view. Although delayed by server problems, at last, our first new textures set launch of 2015! 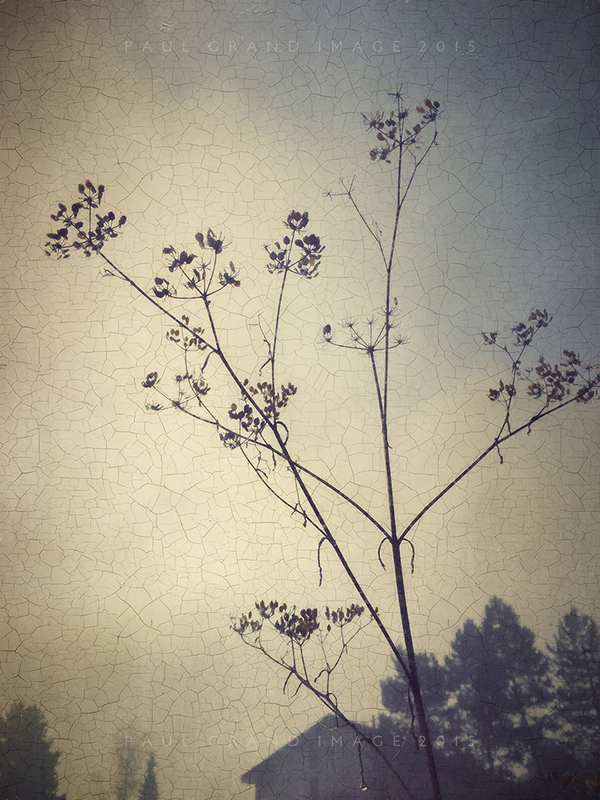 Think of it as a kind of two-part pack with traditional grunge painterly goodness to first texture your images in the time honoured way and then why not go the whole hog and Crackle Glaze them! The choice is entirely up to you, with this packs 45 king sized textures there is something to please everyone, for our loyal traditional grunge texturers and our newer painterly fans who have requested cracks on many occasions! This pack contains a mellow toned mixture of painterly grunge textures with added innovative organic cracked textures to finish your painterly imagery! Many Flypaper fans have seen our recent results with these textures trails and feedback has been 100% positive with requests to know when they’ll be for sale, well wait no longer, these are now out today! Over the next few blog posts we’ll show how easy they are to apply, but just quickly now, we suggest you try them in ‘Multiply’ layer mode at around 50% opacity. 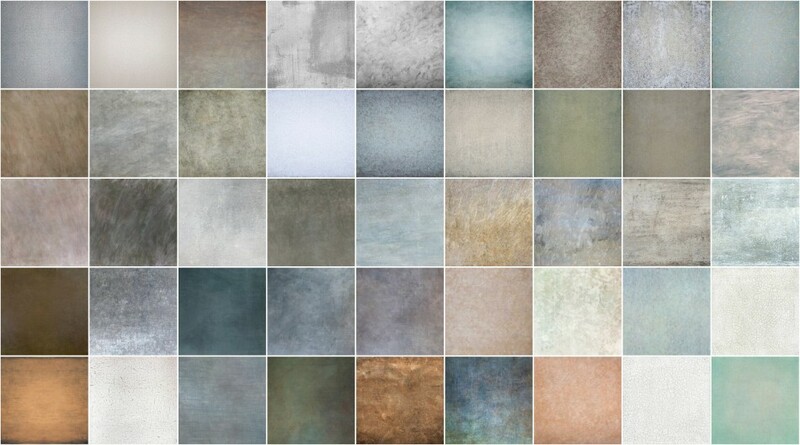 The Distressed Painterly Pack contains 45 mostly rectangular shaped textures with a minimum size of 6000 by 4000 pixels (some are as big as 9000 px on the longest edge) and are at industry printing standard 300ppi. Textures in the pack are April Frost, Azurite, Beaux Arts, Belle Epoque, Blaue Reiter, Blue Lacewing, Byzantine, Cracked Facade, Cracked Pointillism, Cracked Taupe, Craquelure, Danse Macabre, Die Brucke, Diptych, Erebus Ice, Fauvist, Forest Patina, Frosted Scrumble, Frottage, Grisaille, Intaglio, Jet Trails, Lacewing, Marguerite, Millennium, Mimesis, Montmartre Crack, Moody Blue, Muddy Boots, Obsidian Cracks, Organza, Peach Lustre, Peinture, Pink Tempera, Quattrocento Cracks, Renaissance Brush, Riven Snow, Rottenstone Cracks, Sfumato, Surat Meadow, Tapa Cloth, Trunk Call, Verdaddio, Verglas and Vernis Craqueler. Sorry about our long absence here on the blog, we do have a good excuse though, we’re excited to announce we’re busily working on a wonderful new pack!! You’ll be pleased to know it’s almost ready for launch so keep an eye out for the “mailer” with the details and if you’re not already on our mailing list there’s a joining form HERE! 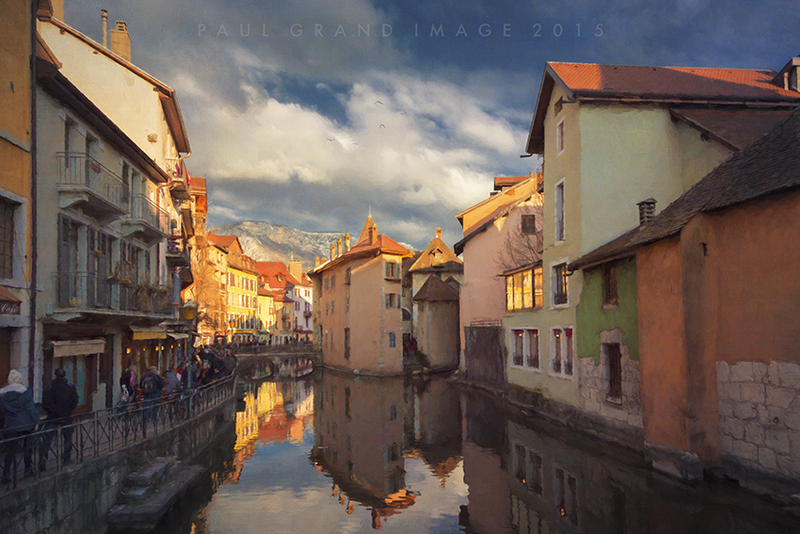 Just back from eastern France, where we visited Annecy, the ancient lakeside mountain town on the Swiss border which, coincidently, during my time as a freelance Getty curator, whilst selecting mostly French imagery, I was delighted to finally visit the actual location of the famous Palais de l’Isle canal prison that I saw images of nearly every day whilst looking through Flickr. Ive not shown the medieval fort latterly a prison here, this view is from the back of the moated prison as I preferred the golden hour sunset light on the canal and far distant mountain backdrop as a cherry on the top! One surprise, a good one, was that our trip coincided with their end of winter Mardi Gras, but I’ll be sharing those images at a later date. As I’d previously lost my beloved PL filter and perhaps it was just as well because those shadows were already sinisterly dark! I first opened in Nik Color efex pro and used their polarizing filter to darken the sky to great effect without darkening the shadows as my PL filter would have done, next I used our Fly 4 Lavender preset, saved and opened in Topaz Impression, saving at around 50% and then opening the Flypaper textures to both warm up and add a subtle canvas texture, called Danielle, from our August painterly textures. Btw, We hear Topaz has launched a new promotion for their Black and White Effects filter, and for the month of March you’ll receive a whopping $20 off this plug-in! Simply enter the code MARBW on purchase! 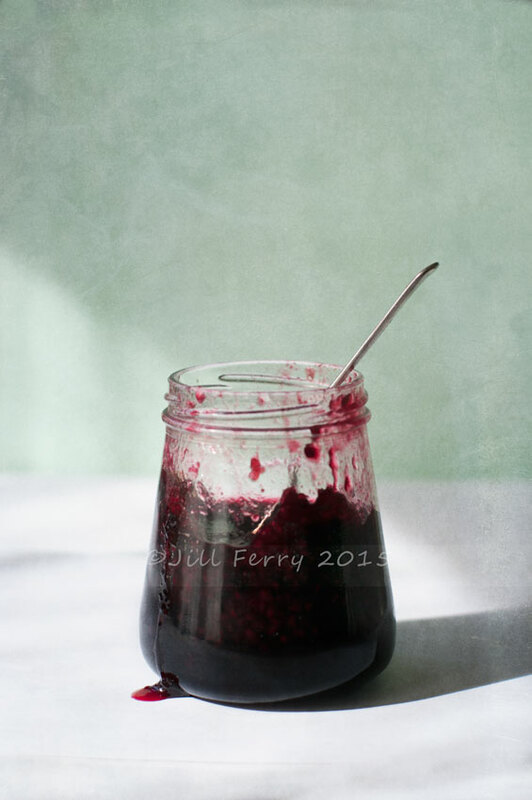 I’m showing the raw base image unchanged by Photoshops manual lens adjustment filter. Muscatel is from Tex Box 2, Masque and Danielli are from the August Painterly pack. 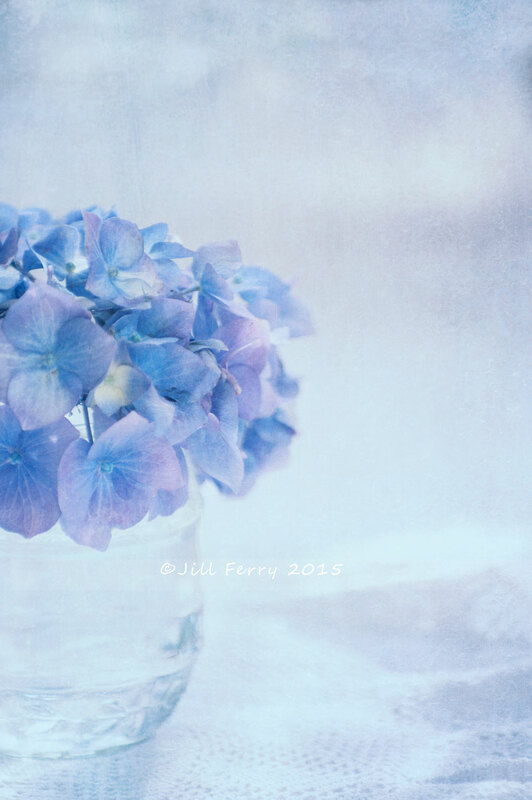 You’ll be pleased to know that the Hydrangea that I planted last season has remained blue! So I’m happy! I’m now hoping the bush will grow a bit bigger now and have a mass of flowers to brighten a fairly bland corner of my garden. While we’re on the hydrangea subject, I was given another hydrangea bush for Christmas which I planted it at our country hut. Unfortunately when the river that borders the property is low, the sheep from the paddock over the fence can get in via the river bank and this is what they did a month or so back. They ate everything; hosta, roses, flax bushes, potatoes, they even nibbled on conifers and I was expecting the hydrangea to have been eaten to ground level too, but obviously hydrangea mustn’t be palatable to sheep because apart from a nibbled flower, it remained, almost the only thing that hadn’t been eaten. Cobalt Cloud @ Overlay 52% Masked from the flower to taste. Peacock and Apple Moss are from the Spring Painterly Pack and Cobalt Cloud is from the Summer Painterly Pack. I’ve recently started using my Lensbaby again, with the Optic 80, ideal for tilt shift effects looking down from the mountains, and frankly a lot lighter to carry! 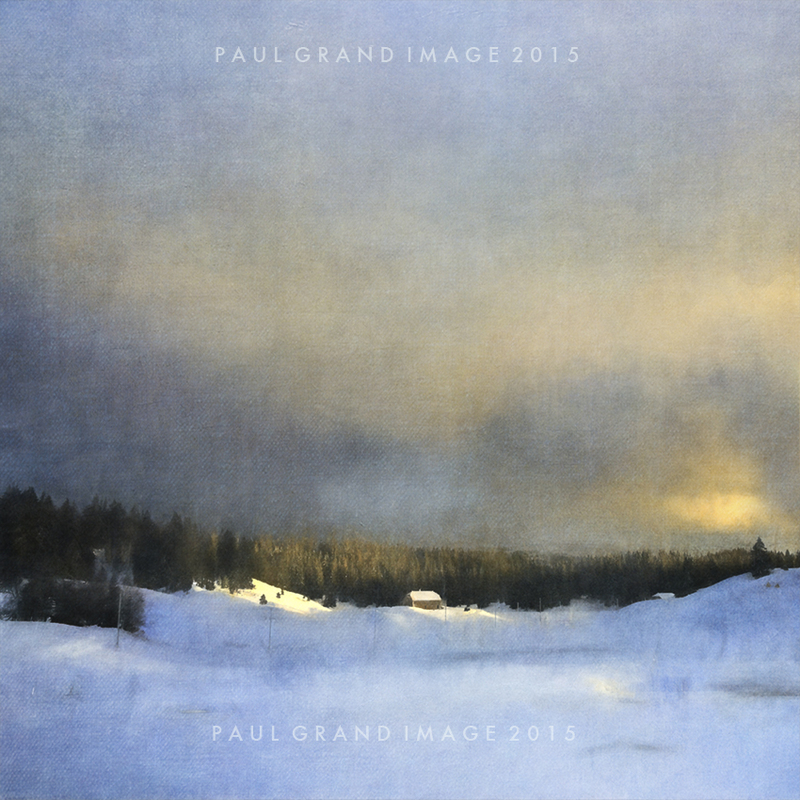 Its also great for capturing a moody, painterly effect. 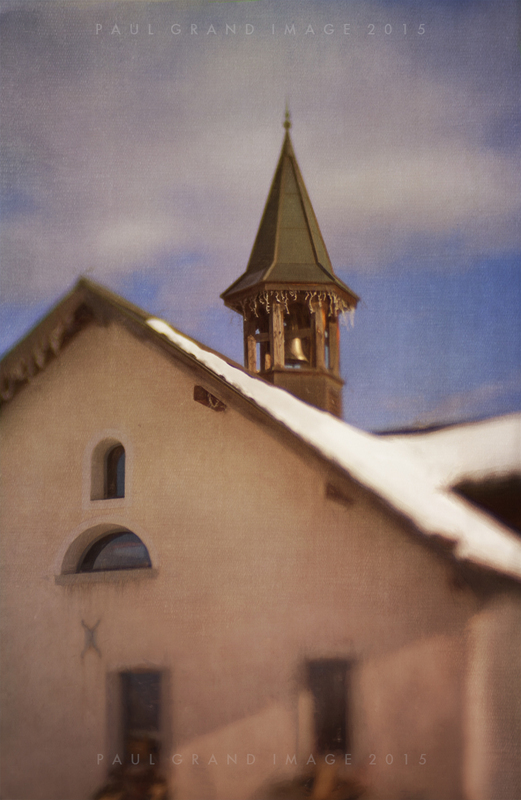 Enhanced by the painterly filters in Topaz Impression and finishing with our Flypaper Textures. Freshly home from the Haute-Savoie, an up-market ski resort village of Megeve, where they’ve strived to keep the ancient center as picturesque as possible and ensuring that all new ski lodges have traditional raw alpine cladding. This is their tourist office with an original bell tower, perhaps an old village hall or school in the past? I’ve always loved the ghostly effect you get in victorian Camera Obscura’s, a kind of glowing yet blurry effect from their inaccurate lenses which Lensbabies and Lomo cameras also capture but need the help of our textural grunge to give that final polished analogue effect. Shot in mid morning sunlight, the final 4 textures gave a rich sunset effect to finish, after using a Topaz Impression painterly filter at 50% layer opacity. I rebalanced by darkening the sky with a duplicated layer of the base image and brushed off the bottom half with the layer settings as below. Muscatel is from Tex Box 2, Sakura Skies is from Spring Painterly, Rococo and Danielli are from the August Painterly pack. Low winter light with its dramatic long shadows can be fabulous, it can also be very hard to process. 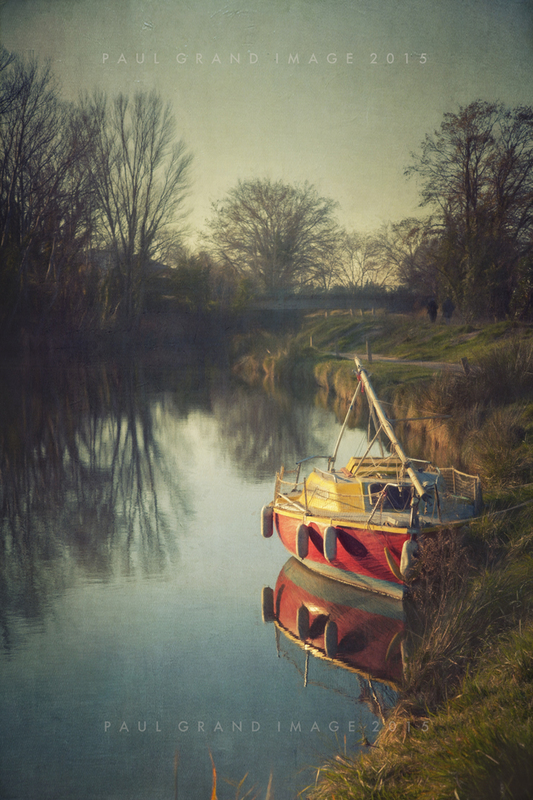 Here’s one of several I shot just before Xmas at our Canal du Midi’s head of the UNESCO protected 17th century Five locks, i’ve photographed it many times, in fog, mist and even rain when it had its beautiful rows of Napoleonic ancient marching trees along each bankside, unfortunately this is all that’s now left, as they were all cut down last year because of a fungal infection spreading though the canal water all the way from the Atlantic coast, now finally reaching here in the Mediterranean coast after they think the fungus arrived inside a liberating American Army’s armaments wooden box during the 2nd World War and has taken all this time to move slowly through the canal water to reach here. Same view from before. We’re hoping they’ll quickly be replaced with young American infection-resistant poplar trees asap, which should grow fast and give our world famous canal banks their much needed shade from the fierce summer sun. Back to the picture, it had very dark shadows and very bright highlights, I tried to soften in Nik color effects and settled on ‘Candle’ from our Fly presets 2 pack, this gave it a slightly dreamy effect but wasn’t quite enough, so I then opened it up in Topaz Impression where I have quite a few of my own presets saved, this one is a 50% strength preset of mine called ‘boat’, this gave it its true painterly softness so to really get cooking with gas I recommend purchasing the inexpensive Topaz Impression which works as a free-standing program or a normal Photoshop plug-in. Now I had a nice soft effect but finally thought the colour tones were, ahem, a bit dated? So I opened up in Nik Color Pro again, and just used one cross process filter, and was instantly happy with the cooler more modern yet retro result. 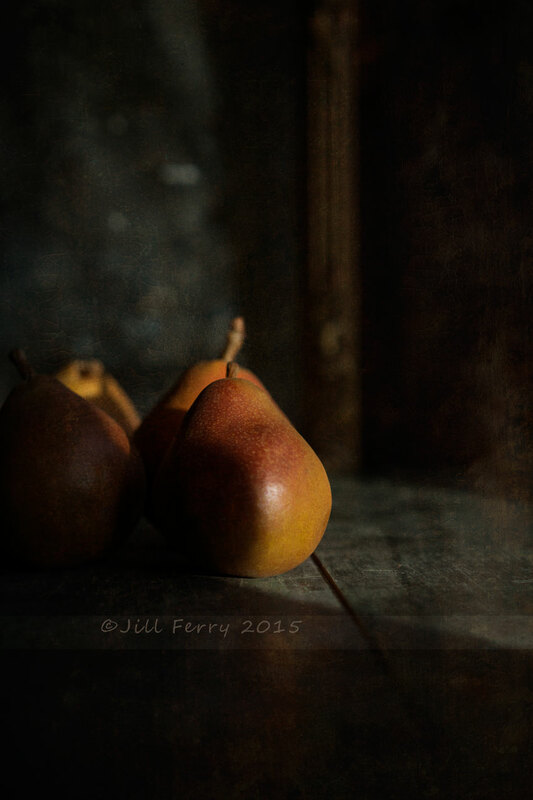 Then it was time to rebalance and soften more with our Flypaper textures, I finally used 3 Fly textures as below. Even then after standing back I could see it still wasn’t quite right, there were several distracting/burnt-out looking dark shadow areas, so after merging and flattening and duplicating I did a bit of simple light painting, I took a mid-tone green sample, loaded the PS CC large soft brush, chose Screen @ 13% and softly brushed over the black shadows, on the right of the boat, bottom right corner of the bank grass and the left hand mid tree line, and voila, I was finished! Casanonva and Danielli are from the August Painterly, Ezekiel Plum is from the Summer Painterly set. Up here in the French Jura again! This year the snow was very late, the resort workers were pulling out their hair for the lack of it. Then only just this weekend it finally arrived heavily enough and has been snowing ever since and now we’re expecting it to continue all week! This was my first venture up the mountain when I arrived last week, it looks deceptively thick here , but in fact wasn’t deep enough to ski on. I shot this on our way home as the golden hour sunlight gave us a last burst of its glory before setting behind the mountains. I hope everybody now knows how much we love Topaz Impression here at Fly central, they have almost ruined me for straight shots, im even shooting with them in mind, their painterly filters were made for fly texturing, and here is another example. The base before image has already been through Topaz Impression using their ‘watercolour filter’ @ around 50% strength. I could have left it like this but wasn’t happy about the ‘overspill’ affects above the trees, so I opened the Adobe Texture Panel and started playing with differing texture combos. Casanonva and Danielli are from the August Painterly, Caspian and Atlantic are from the Paper Painterly and Burnished Clay is from Tex Box 2.